The devil is in the details! 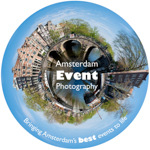 Here at Amsterdam Event Photography we believe that given all the time, effort and money you spend on planning your beautiful event, you should at least have that reflected back to you when you see the photos of the event! Also taking commissions from venues for their own client-facing marketing purposes.